Octopus Energy referral link for £50 credit when switching. A code or voucher is not needed. 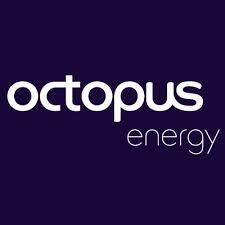 Octopus Energy is one of the best energy suppliers in the UK. If you sign up with them via the link, they will credit you with £50 which you will then use as a discount towards future energy costs. The link takes you directly to the Octopus Energy website. If you sign up without a referral link you will lose out on the £50. Signing up is easy, you don’t need a discount code or promo voucher, all you do is go to the Octopus Energy website using the link I have provided. One you have clicked on the link you can check that you really are on the referrals section of the Octopus Energy website. I have been with Octopus Energy for about two years. They are not the cheapest but they offer good service. If you contact them via email they will reply within a few hours. In order to compare energy suppliers it’s useful to find the kWh prices for both gas and electricity and the daily standing charge price. If you just use the suppliers website for comparison, they will usually give you misleading information on how much you can save. Ovo Energy: I contacted their support who were very helpful. Their energy prices are surprisingly high. British Gas: supply electricity as well as gas but I don’t want to use them. Their website was buggy when I tried to use it. Overall, I’m happy to stay with Octopus Energy, as good support is important. As I mentioned, they have a referral scheme, where existing Octopus Energy customers can give potential new customers a referral link. If the new customer signs up via the link he/she is credited with £50 by Octopus Energy. The link takes you directly to the Octopus Energy website. Signing up with Octopus is easy. They will organise the switch from your existing energy supplier. It will take about three weeks before Octopus Energy becomes your new energy supplier. I hope you use this link to sign up to switch and claim your £50 credit against future energy costs. You can sign up for a normal or eco green energy tariff. We recently went to Greece with the airline Europe Airpost and it was an awful experience. Coming back from Greece the aircraft was delayed for a couple of hours due to technical problems. When it finally arrived we thought that there would be no further problems and that we would soon be leaving. We were wrong. The pilot started the engines and then shut them down again and announced more technical problems. After starting and stopping the engines several more times they decided to depart. It was dark and raining hard. The departure was awful. We weren’t sure that the old aircraft was going to make it. The aircraft creaked in a frightening way. Even the flight attendants seemed worried. Nobody spoke during the whole flight to the next island. All the passengers seemed worried. I fly a lot and I was worried too. Europe Airpost seems to be an airline run on a shoe-string with old aircraft, such as 737s. I think this airline is a disaster waiting to happen. You should avoid it. We use a telephone service provider in France called Bouygues Telecom. They are absolutely terrible. We have their ADSL box which they call the Bbox. It has been broken for the last six weeks! We have been without telephone and internet for six weeks. Their service is really bad. We phone them nearly every day to ask about the status of the problem, but they don’t seem to know what to do. If you phone them you have to wait and wait before you can speak to anyone. This is presumably because of the large number of people calling to complain. So, if you live in France and are thinking of using Bouygues Telecom, you should think again. You will regret it if you use this company. If this article just stops a few people from starting new contracts with Bouygues it will have been worth writing it. Companies in France are notoriously lazy and slow, but Bouygues Telecom is the worst I have come across. Bouygues pronounce their name something like “bwig”, but unfortunately they don’t just have a ridiculous name, they have ridiculously bad service too. We are going to cancel our contract with them. Currently investigating alternatives such as SFR, Orange and Free. Bouygues have a shop in the town were we live. I went there to ask if they could help, but they said they could not. You have to call their useless hotline and waste lots of time. Update: it’s now five weeks since our Bbox stopped working and still no help from Bouygues Telecom. Calling them has become a daily ritual. Je ne recommande pas Bouygues Telecom, évitez !!!! It’s now six weeks without telephone and internet. I thought things were getting better, because last Friday Bouygues said that they would send a technician to our house on Monday morning at 9 am. Things are looking good, I thought. However, 9 am came and went without a technician. He didn’t come and he Bouygues sent no message to say that he was no longer coming. I waited at home for him all day. It’s now Tuesday and I made my daily call to Bouygues Telecom. I called their hotline. After one hour and fifteen minutes somebody answered. I asked about the technician. They offered no apologies and said that the earliest possible date is now Friday morning. I calmly told them that we have been without telephone and internet for six weeks, but they did not care. Update: it’s now Friday and the technician did not come. I was not very surprised. As you can imagine, we are going to cancel our contract with Bouygues Telecom. In the contract it states that if the telephone/internet have been out of service for a month, we have the right to cancel the contract without penalties. As this is the case, we asked them to confirm this. Their answer was incredible: they said that they do an automated testing of the line and their records show that two weeks ago, for about 2 hours there was a working connection. For this reason, we have no right to cancel the contract without penalties, because the line has to be completely non functional for the whole month. Sigh…..
We changed to Orange Telecom and are very happy with them. We are very pleased to have got rid of Bouygues, the worst company in France.